Size: 15 x 15 ; 18 x 18 ; 20 x 20 sq. ft.
Clients can avail from us a large variety of premium quality Shamiyana Tents. The tents are a single fly and flat roof tent, which are ideal for the occasions like Weddings as well as Parties. Shamiyana Tent ( 100% waterproof & Flame Retardant ) are available for various multi-purpose usage. 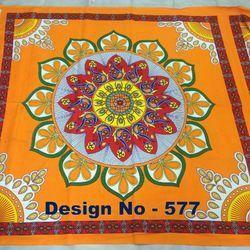 This is the beautiful and colorful sun shade from India. Used in traditional Indian weddings, this gives a very vibrant look to your party. You can buy this colorful party canopy from us. 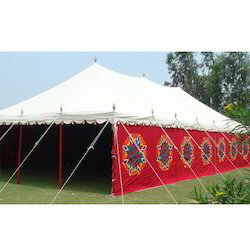 We are the Best Indian Tents Manufacturers. Superior quality Shamiyana Tent can be availed from us in different specifications. Additionally, we offer various services related to this material. It is thick, tough and durable and can be set with ease for various functions and ceremonies. Thus, these are widely demanded for marriages, get-togethers, prize distributions and anniversaries. We are offering Shamiana Tent to our clients. We are offering Polyester Shamiyana Tent to our client.